Real Estate – 1970 – 1971 Part Time (not licensed), Assisting Realtors® with contracts, phones and daily functions of an agent. Global Asset Management Company, Personnel Department. Baltimore, Maryland’s First Intern Student 1971. 1999 to present: Licensed Realtor® – I have worked prior for 2 major Int’l Real Estate Companies, which included being part of their relocation teams, Coldwell Banker Residential Real Estate 1999-2001 and 2010-2015, Balistreri Real Estate 2001-2010 and 2017 to present. One Florida Based Agency, Lang Realty that specialized in Palm Beach County only. They were not part of a relocation affiliate. Although I have worked all areas of Palm Beach County, I specialize in Residential Real Estate, relocation, investment properties within all areas of South Palm Beach County. Facilitating a major career change to real estate full time, I drew on the extensive experience I gained from positions that I held, especially management time spent with Multinational, Multibillion dollar companies. This background with extensive experience in operations, contract negotiations, organization, centralization & consolidation, planning, training, implementation of systems, and customer service, provided a sound basis for this transition. Most importantly what I gained was the continual interaction with people in all capacities/countries, coupled with my firsthand experience with both domestic and international relocation (while living in the USA and Abroad), have given me a unique and invaluable perspective in helping others achieve their dreams of home ownership. After meeting with Jim Balistreri in July, 2015 and again this year, I realized that Balistreri Realty offered many opportunities, that made it a good fit for me now in Real Estate. Their personalized programs, aggressive marketing and wealth of knowledge pertaining to the industry locally and within Relocation, was something that I wished to be a part of again. 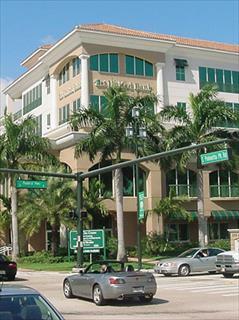 My husband and I have owned in Palm Beach County since 1983. We permanently moved to Palm Beach County in 1999 from California, and reside in Delray Beach, one of the many stops within the US and internationally, along the way!